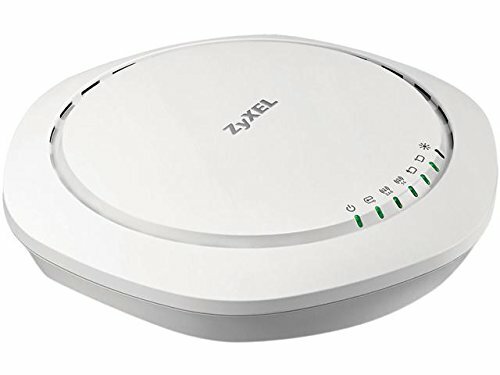 ZyXEL AP Flex TM eases installation by resolving the managed/standalone AP mode configuration, automatically integrating into the network environment with or without Dynamic Host Configuration Protocol (DHCP), eliminating the need for pre-installation preparation. Other helpful features include Dynamic Channel Selection (DCS), avoid the interference of co-channel and overlapping channel at initialization. In addition to software solutions, the WAC6500 Series' simplifies installation through creative design features. For example, the universal and tool-less bracket design allows for flexible ceiling track mounting without the need for special tools. From software to hardware, the WAC6500 Series makes setup and operation fast and simple. The WAC6500 Series ensures users get the best possible overall network performance by utilizing load balancing and client steering. Load balancing allows administrators to set limits on network traffic and the number of clients associated with each AP. Client steering monitors the capabilities of each wireless client and steers them to the less congested band and better signal AP. When it comes to deployments in challenging cabling locations, wireless mesh networks help extend Wi-Fi coverage. ZyXEL' s proprietary ZyMesh (future release few upgrade) creates reliable and resilient mesh links instantly. Yet the configuration is intuitive and centralized manageable on NXC controller. ZyMesh improves network reliability through true wireless connectivity with repeater APs selecting multiple routes to provide backup and failover for uninterrupted service. Together, these three technologies provide the WAC6500 Series with unbeatable efficiency and reliability.